Žiga Turk, professor, served twice as minister in the Government of Slovenia, and is Secretary General of the Reflection Group for the Future of Europe. Indeed, a huge majority of Muslims are not terrorists. But a majority of perpetrators of terrorist acts in Europe since 2001 are Muslims. The fact that fifteen million European Muslims generate more terrorists – including the thousands that travel to join ISIS – than half a billion of Europeans, shows that their integration in Europe, especially in France, is failing. Campaigns in Afghanistan and Iraq did achieved little, except the regrouping of radical Islamists into a different organization. Bombing the Middle East back to the stone age will not achieve much either. We should stop the refugee flows and improve the border controls. This would make sense at least until we learn how to better integrate Muslims into our societies. But what about all those who already are in Europe? Again, I do not believe much can be achieved by violence. Fencing off Muslim ghettos, or sending young jobless people to labor camps is unjust, inhumane and stupid. Policing and security checks are just the last line of defense. Battles with Islamists may be won with weapons, the war not. Maybe we need more social workers for Muslim neighborhoods. More basketball and football fields. More and better teachers at schools. More jobs and/or higher welfare. Maybe. I am not so sure, because these services are quite extensive already. Recently it became politically incorrect to claim that at least in the last five hundred years, European civilization has been by far the most successful one on the planet, and with clearly superior achievements to its neighbors across the Mediterranean. Calling that Eurocentrism does not make these claims false. Europe did not achieve that because of some kind of racial or genetic superiority. We did not have better hardware, we had better software. The fight with Islamic extremism is a fight of two softwares – one that enabled the most successful civilization on earth and the other that – if used dogmatically – was keeping whole nations in the middle ages. It simply needs to become more attractive to be a member of European civilization. It should become “in” not to be a member of a local gang of immigrants, but part of the civilization that built the Champs Elysées, Tulleries and the Arc de Triomphe, Cathedral of Notre Dame, the Church of Saint Sulspice and the Eiffel Tower, the civilization that has painted the artwork in the Louvre and Orsay, a part of a country that gave humanity Joan of Arc, Louis Pasteur, Marie Curie and Claude Debussy. How does this compare to the achievements of the countries that Muslims came from? Politically incorrect question? 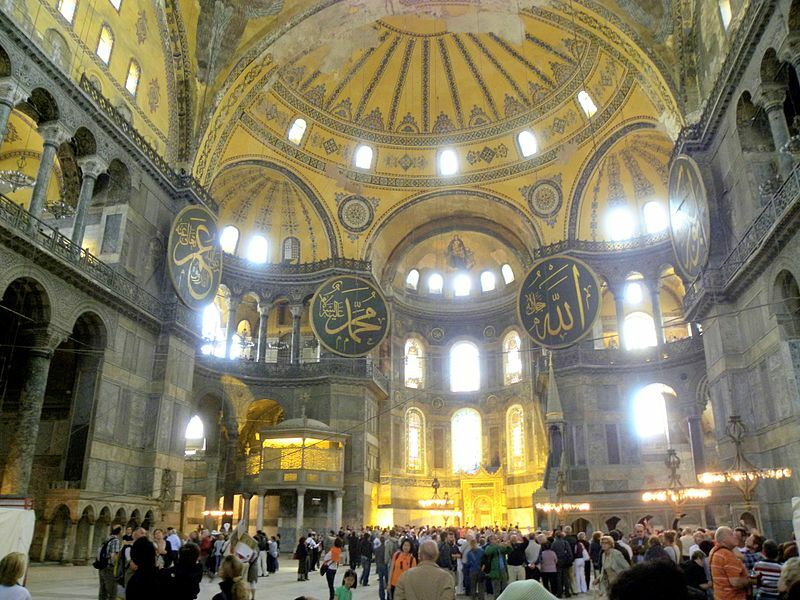 Here is a politically incorrect answer: at the climax of their power they added minarets to the largest building on earth at the time – Christian church of Haiga Sofia. And not much else. OK, I am exaggerating. The Arab Science in the Middle Ages had quite a few achievements but was held back in the ivory towers. Western Science changed the world. Why are we Westerners unable to share the pride in the achievements of our brilliant civilization to the immigrants? Why not all of them want to become a contributing force of this? Muslim youth could participate in the construction of the largest aircraft and the fastest trains in the world, instead some are planning to bomb them. Europe had an open border for a long time, they were welcomed, and yet so many remain strangers. Perhaps this is so because some of the Westerners lost faith in themselves, lost the pride in their own achievements and roots. Yes, I am talking about you who were appalled by the deliberate political incorrectness and Euro-supremacism of last couple paragraphs. How to give an African or an Arab a wish to become part of this great civilization, if some Europeans prefer to deny their fathers, religion, civilization and its achievements? How can becoming a European be attractive if values that are immanently European are labelled “universal human values”? No, comrades, liberté, égalité, fraternité are not universal human values. Life, liberty and pursuit of happiness, neither. These are Western values. Fabriqué en France, made in the USA! As long as some are ashamed to be European, we can’t expect immigrants to wish to become a part of our society and culture. This society is secular in principle with enough of room for Muslim faith, culture and identity, but without genital mutilation of women, arranged marriages of minors, gender inequality, stoning of gays and bloggers etc. If being European is not able to inspire, then it is only right that Europe is occupied by a culture which can. The vacuum created by relativism, conceptual entropy and cultural capitulation will be filled with something. Anything, including Salafism. The sooner the better. There will be fewer victims. But if it matters to be European, then European must be our response to the atrocities. Civilized not barbaric, determined, not wishy-washy, proud not shy. Guilt is always individual and never collective. Their way is to kill the innocent, our method is to process the suspects. Sharpy, strongy and fairly. If we want to win the war of culture the last thing we should do is abandon our principles and values. Not only if we forget what that means but also if we deny who and in what tradition invented this: in both cases, Europe as we know it, is dead. The British people stand with the French as we will always stand with people who value freedom. …. We will never stand with your antidemocratic EU. Please do not call us ‘European’, it is a label we have not been asked if we want and find it very insulting.